From Memphis/ TN - Take Highway 78E to Exit 14. Take a left at the stop sign and a right at the Exxon. Americas Best Value Inn - Byhalia is located at 137 Two Stakes Road/ Byhalia/ MS 38611..From Tupelo/ MS - Take Highway 78W to Exit 14. Take a right at the stop sign and another right at the Exxon. 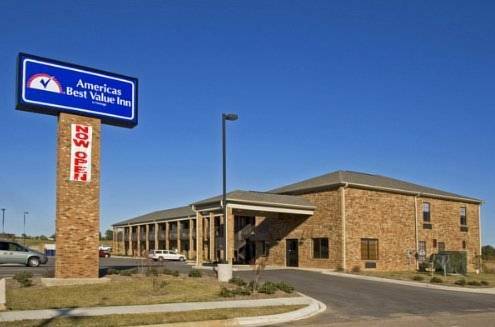 Americas Best Value Inn - Byhalia is located at 137 Two Stakes Road/ Byhalia/ MS 38611.. The suburban ranch-style home where the King lived starting in 1956, before he bought Graceland. A plaque next to the driveway gate tells the story. The forever home of Elvis, and still a pilgrimage destination for his never-lessening legion of fans. Bluesy, rockin' Memphis is the go-to destination for fans of Elvis and -- Danny Thomas? See Danny's many awards and tributes, then visit his grave; like The King, Danny is buried at his attraction.